Faculty members from College of Law at Al Falah University participated in the “Intellectual Property and Support for Government Innovation” workshop organized by the Dubai Government Excellence Program, the Emirates Intellectual Property Society, and the Dhahi Khalfan Intellectual Property Center. Dr. Mohammed Desouki, Dean, Dr. Ezzat Al Omari and Dr. Rania Gaili, Assistant Professors and several students represented AFU in the workshop. 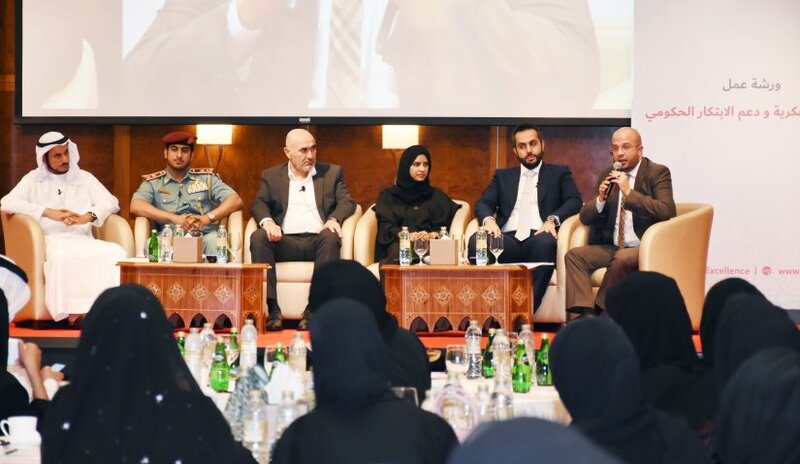 Col. Saleh Al-Hamrani, Deputy Director General of the General Administration for Total Quality - Dubai Police General Command discussed a number of topics related to intellectual property and its importance in government function. Participants were also able to take part in interactive sessions on innovation management in government institutions and patent registration in the U.A.E.